In the first story, a house hated by neighbours but initially approved by the city is now back to square one (tst-bram). A dilapidated, partly constructed 6,600 square foot Brampton monster home is still towering over houses a quarter the size after the city tried to have it torn down, and a new court order has apoplectic neighbours wondering why nothing has changed in four years. “We heard it was 90 days that the homeowner now has to make the same decision he was asked to make years ago,” said Peggy Ronayne, who has lived next door to the property for 39 years. She’s referring to a decision issued Friday in the ongoing dispute between the property owner and the City of Brampton. Ahmed Elbasiouni now has 90 days from the date of the order by Justice Kofi Barnes of the Ontario Superior Court to pick between one of three options: demolish the structure; get approval from the committee of adjustment for necessary variances; or bring the building into compliance with the applicable zoning. It’s a similar order to one that was handed down by the court three years ago. In its response the City of Brampton said that if Elbasiouni doesn't pursue one of the three options within 90 days, the building permit will be revoked. That would mean the city could then order the demolition of the structure. Elbasiouni has maintained since his building permit was issued in 2012 that he has followed the technical specifications of his submitted drawings which were stamped, approved and signed by city building officials. The Star has viewed Elbasiouni’s stamped drawings. In 2013 city staff admitted to council that the permit was issued in “error,” but nevertheless, the city tried to revoke the permit and ordered that the structure be demolished. Council demanded staff produce a report explaining exactly how the permit was issued in error, but other than telling council a “technical discrepancy” was the reason, related to how zoning was mapped for certain properties, no report was provided to council. Elbasiouni appealed the city’s revocation of his permit to the Ontario Superior Court, and Barnes ruled in the summer of 2013 that the city used a “wrong” bylaw when it issued the permit. Barnes ordered that the city’s decision to revoke the building permit be stayed and offered three possible options, including possible demolition of the home. He outlined a timeline to decide on a solution by early 2014. But the matter got hung up in court by a series of motions, as Elbasiouni and the city accused each other of delaying the case. “It is important to bring a conclusion to this never ending story,” said area Councillor Elaine Moore. He said he will comply with Friday’s order and will go before the committee of adjustment, with some of the information he has obtained through the court case about the city’s conduct that Elbasiouni says will hopefully help his application. Moore said the issue needs to be resolved without any more delays. Downtown however, a shipping container home extension is fine (tst-sc). A Toronto restaurateur’s colourful new home addition marks the first time shipping containers have been used for a residential purpose in the city. Three steel cargo containers form part of an expansion to the living quarters at the rear and above Harlem Underground, the Queen St. W. eatery where owner Carl Cassell, his wife Ana Silva, and their children reside. 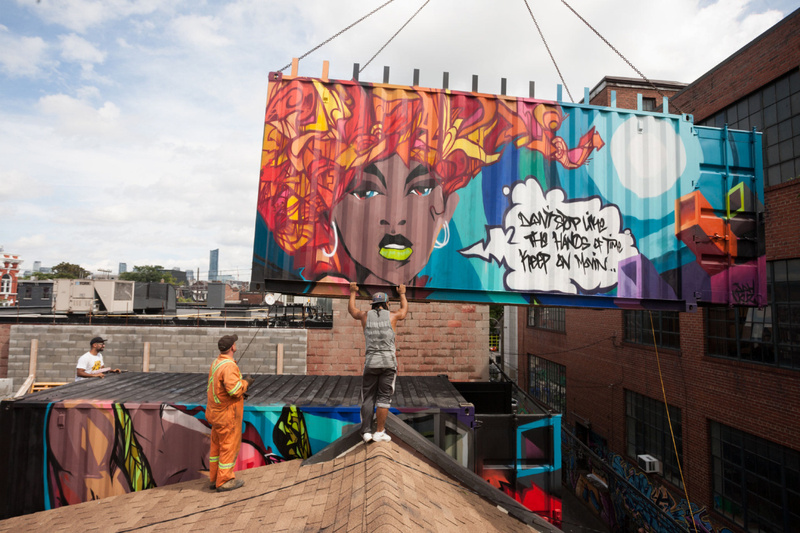 The shipping containers face Graffiti Alley (Rush Lane that runs south of Queen St. W. from Spadina Ave. to Portland St.), and have been painted by artist-architect Javid Jah and urban street artist Angel Carrillo. The three stacked containers have been fabricated by Storstac, a company that repurposes used corrugated metal containers for industrial, commercial and residential uses. The containers, which have been fastened to the older building, contribute about 200 square feet to the overall expansion of Cassell and Silva’s apartment from 650 to 2,200 square feet. The containers house a staircase and form part of the second-floor living room and a third-floor bedroom. A shipping container house coming soon to 5 Arkledun Ave. in Hamilton will be the first of its kind in an urban setting in Ontario. The four-bedroom, 2,460-square-foot house built of eight modified containers (four stacked on top of four others) has been designed by Toronto architect Jason Halter of Wonder Inc. for client Geoffrey Young. It’s also being fabricated in Etobicoke, in the yard at Storstac. Young, 39, is a writer and broadcaster who has worked on international development projects, including in New Orleans post-Hurricane Katrina and in Haiti after its devastating earthquake. With a passion for sustainability and smart urban design, he had been motivated to use shipping containers because they use upcycled materials, are adaptable and scalable to various sizes and settings, are robust enough to withdraw the elements, and don’t require clear-cutting of forests for lumber. He also likes that Hamilton is trying to position itself as a cultural hub, attracting creative industries and rejuvenating older urban areas, and felt his house is a good fit with the image the city is trying to convey. He’ll move into the house with his partner Wendy Cordova and their baby (due in November) and they hope to rent part of it to a refugee family. The shipping containers had been expected to have been placed on site by now, but issues caused by old sewer and water connections on the lot have delayed the project. Young’s shipping container home on its 40-foot lot will cost about $175 per square foot to build and will sit on top of a 1,280-square-foot concrete basement with walkout. Its exposed corrugated exterior will be painted with a type of high-performance brick-red polyurethane paint on zinc over its steel skin. While the corrugated exteriors of Young’s and Cassell’s abodes provide clues to the origins as cargo containers, inside they will be finished as any conventionally built house could be and must meet Ontario Building Code standards. The containers are typically 20 or 40 feet long, eight feet wide and about nine feet fall (if they are of the “high cube” variety) and welders can modify them to remove walls or add windows or doors. Cassell, who is hands-on finishing his addition, says while the shipping containers are like giant building blocks, the project has been more challenging than he anticipated. “It’s a game changer for me,” says Cassell. “It’s the first time I’ve worked with shipping containers and my learning curve is steep. 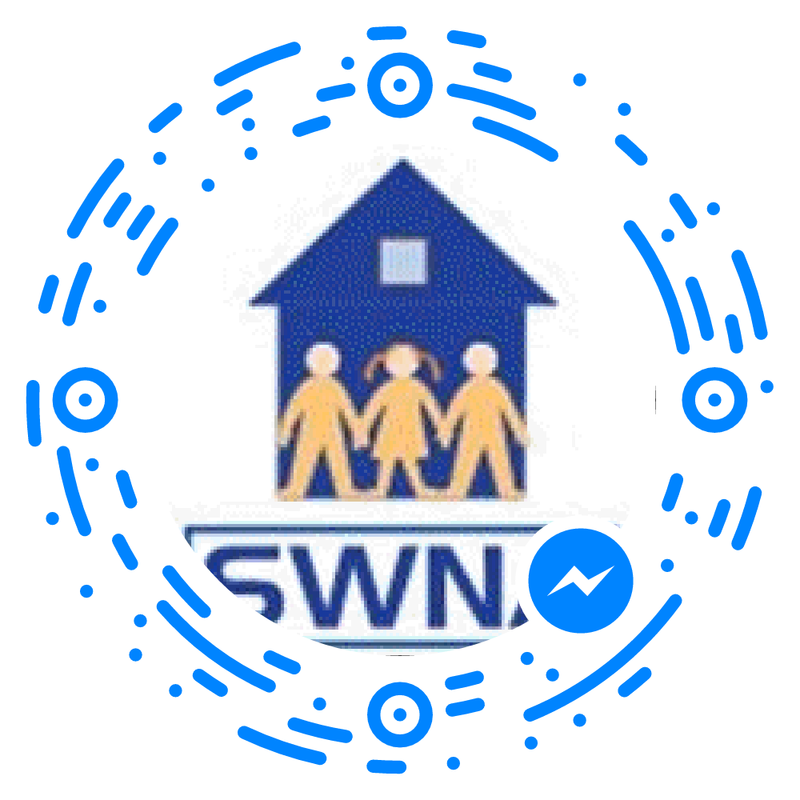 I have built a bunch of houses and this is my ode to myself.” He says the most difficult challenge has been figuring out how to connect the containers to the older building and ensuring rainwater would drain properly. Now he’s delighted to live in a residence that reminds him of his native Jamaica and adds to the bold urban art in his neighbourhood. Finally, the mayor’s plan for a huge park downtown is a bit in the air after developers acquire the air rights, supposedly (tst-air). A group of developers is laying claim to the rights over a large stretch of the rail corridor downtown, complicating the city’s intention to build a 21-acre park in that space. Mayor John Tory last month announced the proposal to build a rail-deck park between Bathurst St. and Blue Jays Way — which city staff now say could cost more than $1 billion. The mayor’s executive committee voted last week to move ahead with that plan, which Tory has backed as a legacy project. But Matthew Castelli, a GTA developer behind Senator Homes and the Kingsman Group, says those air rights have already been sold to a consortium of developers that includes the Craft Development Corporation, based in Etobicoke. “I can’t really talk about anything at all. The only thing I can confirm is I’m part of a consortium that do own the air rights over the rail lands,” Castelli told the Star on Friday. Castelli said the group’s rights include the entire 21-acre stretch being eyed by the city and that the rights were not purchased recently. He refused to provide more details about the terms of the deal or any documentation confirming the ownership. However, the city says it has only done preliminary searches, which do not confirm this. The rail companies have refused to comment. Councillor Joe Cressy, whose ward encompasses the proposed park space, said Craft came to meet him with a proposal for seven to 10 “giant” condos built on a deck over the rail corridor, which would include a small park. “My initial and immediate response was, ‘what is your ownership?’” Cressy told the Star. The developers, Cressy said, promised to share the details, but never did. Craft did not respond to a request for comment for this article. Castelli did not respond to follow-up questions about Cressy’s comments. Ownership of air rights is a complex business in Ontario. When you purchase land, the owner typically holds title on everything below and everything above the property. But those rights can be stratified, or parsed, and sold-off for a price — in order to allow, for example, mining in the rights below or bridges in the rights above. Jeffrey Lem, director of titles for the province, has told the Star that determining who exactly owns those stratified rights — which can be tiered “like a wedding cake” — is difficult to determine. He said the rail lands are of the most complicated in the province. Title searchers are paid to do this kind of work, he explained. According to land records searched by the Star, a previous private sale for just a one-acre transfer of air rights east of Union Station totalled $8.7 million. And ultimately, he said, it’s up to the city to determine how the area can be developed through zoning, with the city moving to re-designate the area for park use only. Cressy said it’s possible the developers — who do not appear currently to be big players in the downtown development game — have secured conditional ownership, which would hinge on the lands being zoned for development. But no one involved is saying much. When Castelli was asked if he was aware of the city’s intention to zone the area for parkland, he simply said “Yeah,” and laughed but refused to comment further. He did not respond to a question about whether the group has agreed to a conditional purchase only. Both Cressy and the mayor’s office downplayed the potential for the developers’ interest to cause additional challenges to securing the rights at a still undetermined cost. Regardless of who owns the rights, Cressy said the city will deal with the rightful owners in purchasing them to build the park. All in all, a big park would be good, and homes made of shipping containers are fine as long as the building code is observed.